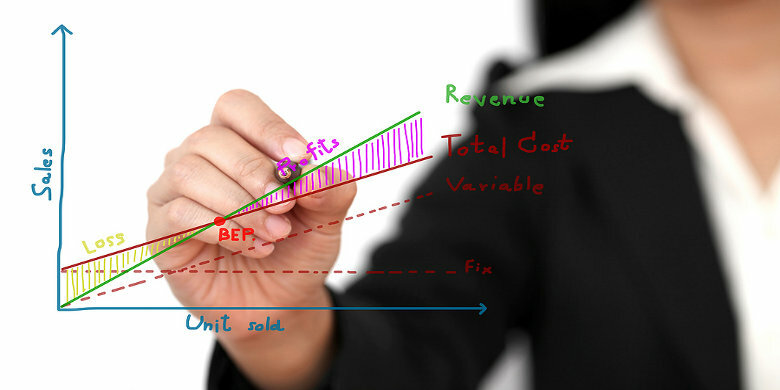 For conducting a mining project’s break even analysis, you first need to know about the operational expenses (OPEX). When the OPEX is known, you can calculate the mineral’s cut off grade, which is the break even grade, below which it is not economically viable to mine the ore. To find out how I come up with the cost price per tonne (OPEX) if a feasibility study isn’t available, I refer you to the note at the bottom of this page. As you can see, the difference between a ton and a tonne is approximately 10%. I believe this last conversion is really convenient, because when I read a mining company’s press release in which they announce a drill result of 2% copper, I now quickly know this equals to 44 pounds (lbs), or – assuming a copper price of $ 3 per pound – a mineral value of $ 132 per tonne. To learn more about how you can determine the mineral value per tonne, I recommend you to read the metal value page. Note: When the cost price per tonne can not be found in the mining company’s feasibility study, I kindly ask the mining company’s management to give me their best estimate. In order to be extra conservative in my calculation, I normally apply a discount rate of 20% on the numbers received.